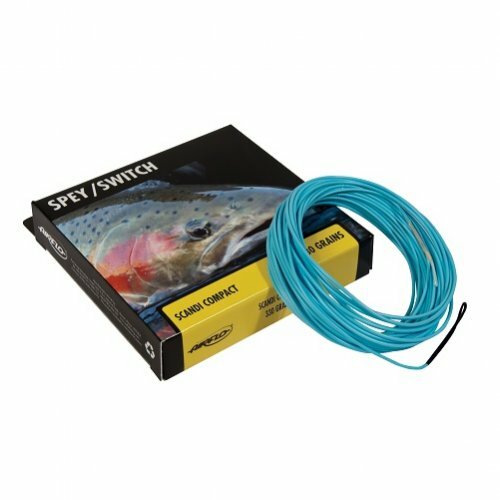 With the help of some of the finest two-handed casters in the Northwest, Airflo has introduced the ultimate Spey line for floating line presentations. Designed to perform with modern shorter rods or where back cast room limits your "D" Loop - Scandi Compacts come in 11 sizes from the scant 240 grain to its larger brother the 540 grain, enabling you to create a perfectly balanced outfit.These heads have made casting so easy it isn't fair to those who had to learn with a conventional long belly line. Whether it's steep banks or the tough winds ripping up the canyon, Scandi Compact helps anglers of skill level cast like a pro in no time. "airflo scandi heads 240&300 grains"